Faith was politicized in 2016; it will be weaponized in 2020. Let’s just get this on the table: President Donald Trump is not the picture perfect president, nor is he anywhere close to someone I would described as a “man of God.” But his pragmatism has, nonetheless, engendered the praise of people like me, conservative Christians. Eager to tap into the faithful demographic the Republican leader electrified in 2016, the already dense lineup of Democrats running to challenge the incumbent president are, much like Trump on the campaign trail, pandering to the devout. 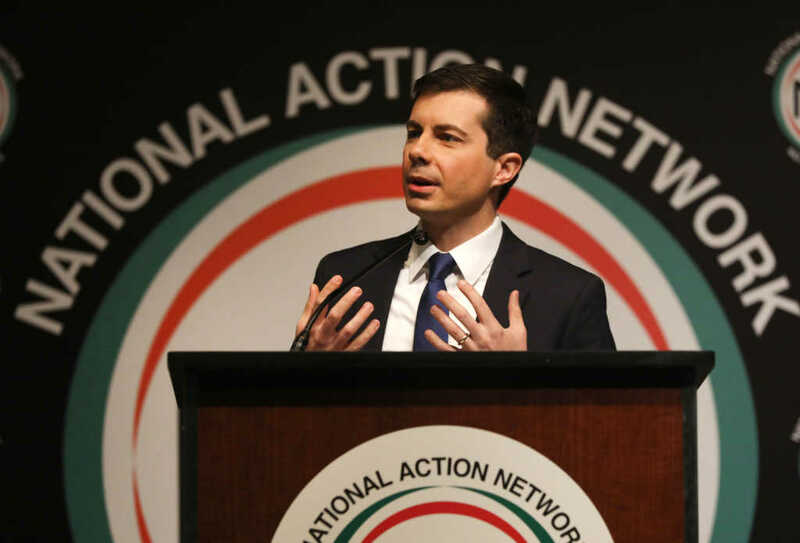 Of the presidential hopefuls currently in the running, Pete Buttigieg, mayor of South Bend, Indiana, has so far been most outspoken about his Christian faith. What does the Bible say “so little” about? Buttigieg, a devout Episcopalian, undoubtedly knows that. Now, onto the issues. The 37-year-old Democrat also accused right-leaning Christians of focusing “so little” on the biblical command to care for those in need. But on those two issues alone, I think the mayor (or Powers) is wrong. Scripture does speak directly to the issue of abortion. No, the word itself can’t be found in the pages of the Bible, but the principle is really not difficult to extract. Human beings were created in the image of God; infused directly into our DNA is innate value inseparable from our human existence, regardless of what stage of life we’re in. And if a human being is, in fact, a human being at the moment of conception — a mainstream idea among right-leaning Christians — then to end that life would be akin to murder, and Scripture has a lot to say about the immorality of that. Secondly, it’s wrong to suggest Republicans — or in this case, conservative Christians — are unconcerned with the needs of the poor. They just have different ideas about meeting those needs. Earlier this week, Sen. Tim Scott (R-S.C.) even admitted a faith-based ministry in Dallas, Texas, has done a much better job of keeping former inmates out of prison than the federal government. Conservative Christians tend to see subsidiarity — allowing smaller, localized bodies to handle issues within their communities — as a more effective way to address social needs than with federal, top-down programs and initiatives. How is faith being weaponized? There’s no doubt in my mind Trump quite effectively politicized religion to achieve a goal, particularly when it comes to issues like abortion and religious liberty. But now, Democrats, the party whose members have for years poopooed the idea of mingling the Gospel of God and politics, are eager to do just that. I’m sure the faiths of people like Buttigieg and Sens. Elizabeth Warren (D-Mass. ), Cory Booker (D-N.J.) and Kamala Harris (D-Calif.) are genuine, but their decisions to speak up now seem to be mostly about expediency, not unlike Trump in 2016. Also not unlike Trump, they’re cherry picking their theologies. From 2016 to now, speaking out on faith seems to be much less about principles and much more about politics. Buttigieg made that clear when he exercised incredible restraint by saying he didn’t want to question Trump’s faith before proceeding to do just that. Here’s the thing: I don’t really disagree with Buttigieg’s characterization of Trump’s self-avowed Christian faith. After all, the president did say in 2015 that he sees no need to ask God for forgiveness. But to Trump’s credit, he doesn’t really spend much time suggesting he’s devout or even remotely devoted to his faith. All of this — from the left and the right — is just pandering, and it’s disingenuous. If we continue down this cherry picking path, and I see no reason to believe we’ll divert from it, faith will be entirely weaponized by 2020. We’ll have Buttigieg to thank for firing one of the first shots.